The Charles Owen Hampton Riding Hat is elegant, stylish, low profile and covered in luxurious Italian velvet. The Hampton is a flattering hat with a nylon reinforced tan harness that is both durable and soft, while the inside features a soft velour headband and a satin lining. 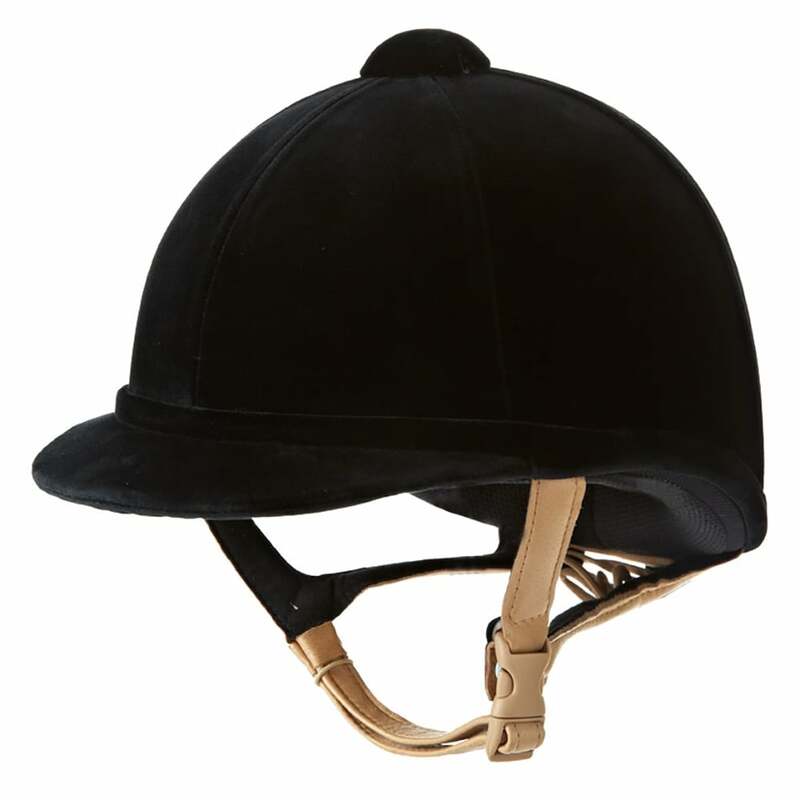 This stylish riding hat is great for the show ring.